There is something timeless about dressing the children of today in the best fashions of the past. The pastiche of beautiful clothing encourages a connection between generations. It unites style and fun. When searching out ideas for unique clothing with a bohemian appeal, it’s wonderful to explore other cultures as well as other fashion epochs. We are all interconnected. This view of the world can broaden the territory of exploration when creating special looks for your child. Consider mixing contemporary pieces with your period finds for an up-to-the-minute and back-to-the-past approach to creating a functional wardrobe for your young one. Mix jeans with a period sweater. Pair a tutu to a unique jacket. Find a floral dress and team it up with army boots. Find pieces in the boho-chic style that complement your child. Find the colors that make your child feel the happiest. Find the fabrics in which he or she is the most comfortable. Is there a time period that your child cares about? A special garment that is a fast favorite? This is a way to communicate and to help your child discover a way of blossoming in the world, of expressing her true nature, of finding his focus. When an individual feels confident in what he or she is wearing, the day is just a little bit brighter. When she can run and climb trees and dance freely in her favorite frock, watch your child’s confidence flourish. Artistic, beautifully crafted children’s clothes are a celebration of the beauty of life. It is found in the big things: in writing a novel, in crafting a score, in capturing an image in the perfect photo. It is also a manifesto that all of life is beautiful and every day a major day. It’s in the way that one presents oneself to the world, the boho celebration of style, beauty, elegance, and fun. Enjoyment Children enjoy the beauty of life, and fashion is one more way of celebrating the magic of the moment. Bohemian chic is bell bottoms or a velvet frock or a vest with fringe. It’s a nod to ‘80s grunge and the breaking away from the mundane. It is the simple black sweater that is an anthem of 1950s beatnik flair. It is fun and no-holds-barred. This is something that you discover with time and experimentation. That boho fusing of the effortless and the planned are what give the look its charm. 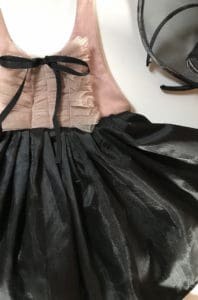 Create a look that is unique, thoughtful, and beautiful and that will inspire a life-long memory of a favorite outfit and the confidence and style to share what is unique about themselves. Boho-chic for children is an adventure that unfolds, one beautiful item of clothing at a time. It evolves over time. It moves as your child develops a passion for music and pegged jeans, reading under a tree and collecting sweaters and suspenders. While there are no road maps on this journey of style, there is the joy of exploration. 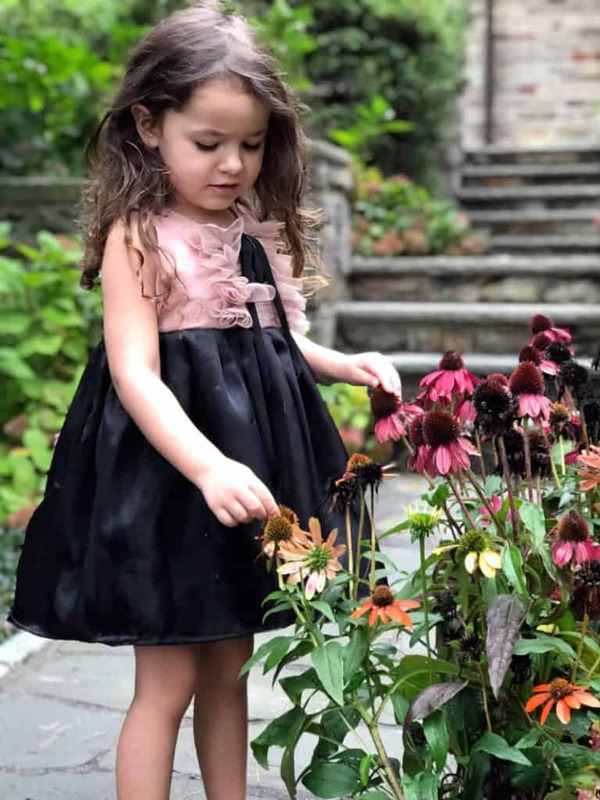 This entry was posted in Style and tagged Boho Chic Children's Clothing, Boho Chic Children's Clothing Designs, Boho Chic Children's Style, Boho Chic Girls Clothing, Boho Chic Girls Dresses, Boho Children's Clothing, Boho Children’s Designs, Magnolia Dress, Magnolia Lake Clothing.